ONE ACRE NORTH OF TOWN. Squared away 28' x 60' Glenbrook manufactured in 1984. Has been updated: including a roll-in shower, laminate flooring, tie downs & newer siding on the lower half of the dwelling. 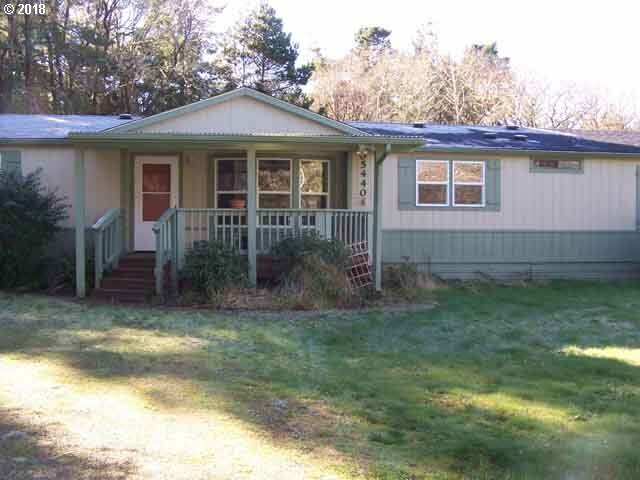 Level, usable acre with room enough for a garden, parking an RV, enjoying the privacy of the backyard. Artist studio included. 2-car garage plus carport.